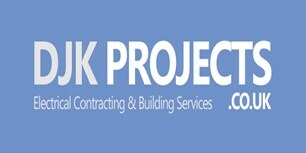 DJK Projects Ltd - Electrician based in Cheltenham, Gloucestershire. DJK Projects was established in 2010. My name is David King and we are a family run business. We have been working in the electrical industry for 25yrs. We have worked nationwide on many different projects ranging from large commercial jobs, offshore projects and residential/domestic schemes. DJK is a registered full scope Napit member and 18th edition regulations compliant. The company is fully insured and a member of safecontractor. We work in a small fully qualified team and take pride in our work, housekeeping and ability to deliver what the customer strives towards.